The members of ISS Expedition 40, including NASA Commander Steve Swanson and Russian cosmonauts and flight engineers, Alexander Skvortsov and Oleg Artemyev, landed in Kazakhstan today. Expedition 40 began May 13, 2014 and included research projects focusing on human research, biology and biotechnology, Earth and space science, physical science investigations, technology demonstrations and educational activities. The trio had been aboard the station since March 25, according to NASA. The trio spent six months doing maintenance on the orbiting laboratory, collecting data and conducting experiments in hopes of advancing technologies from weather forecasting to human medicine. Expedition 40 activities will help advance our body of scientific knowledge, leading to potential Earth benefits such as improved weather forecasts and human medical advancements. The trio undocked their Soyuz from the Poisk module on the space-facing side of the station for a parachute-assisted landing on the steppe of Kazakhstan. Their departure signaled the end of Expedition 40 and the start of Expedition 41, under the command Flight Engineer Max Suraev, along with Flight Engineers Reid Wiseman and Alexander Gerst. 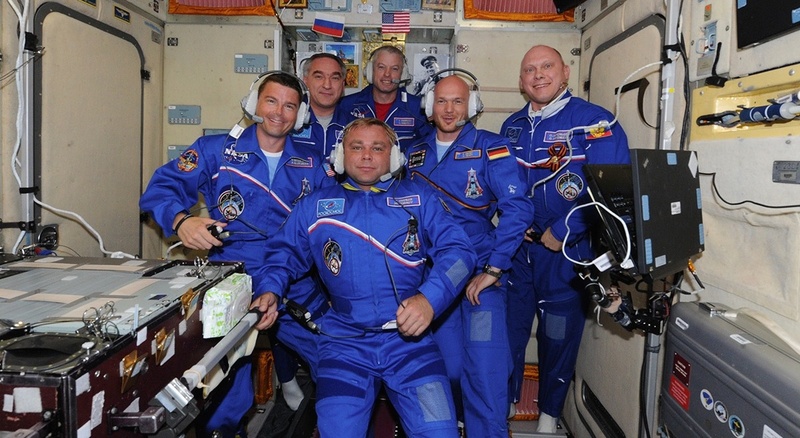 Suraev, Wiseman and Gerst will remain aboard the station until November. The trio have been aboard the station since May 28. The data collected will be used to shape exercise regimens created for astronauts to help stave off bone and muscle mass loss during missions. It can also be used to create exercise routines for people who have been restricted from exercise due to age, injury or other factors. According to NASA, When living in space, astronauts must maintain a consistent exercise routine to avoid muscle atrophy. Studies have shown that microgravity causes astronauts to experience up to a 20 percent loss of muscle mass on spaceflights lasting five to 11 days. To exercise, astronauts do strength training with Advanced Resistive Exercise Devices (AREDs), which simulate the experience of lifting weights on Earth and allows astronauts to do squats, bench and shoulder presses in space. Cycle ergometers and treadmills on the spacecraft also allow astronauts to do leg exercises and work on cardiovascular fitness and muscle endurance.